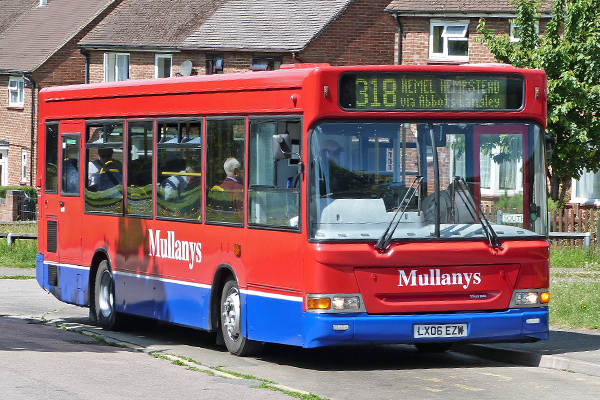 With 50 years experience in the passenger transport business Mullanys Coaches is the largest independent bus and coach operator in South West Hertfordshire. 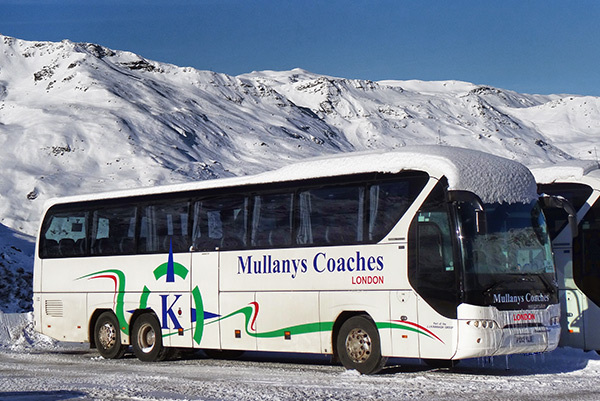 Our coaches and buses are available for private hire and we are experienced with the needs of private individuals and companies large and small. 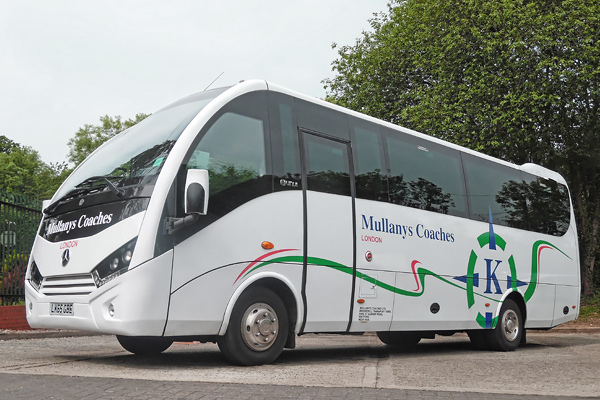 So, whether you have a large or small group, are looking to travel in comfort or on a budget, locally or across the UK, Ireland or Europe we are sure we will have a vehicle to suit your requirements. 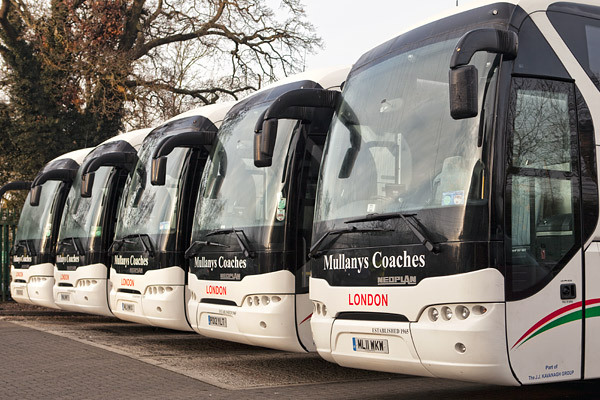 Mullanys Coaches... "moving in the right direction"
We offer fleet of modern air conditioned vehicles supported by a team of highly skilled engineers on call 24/7. 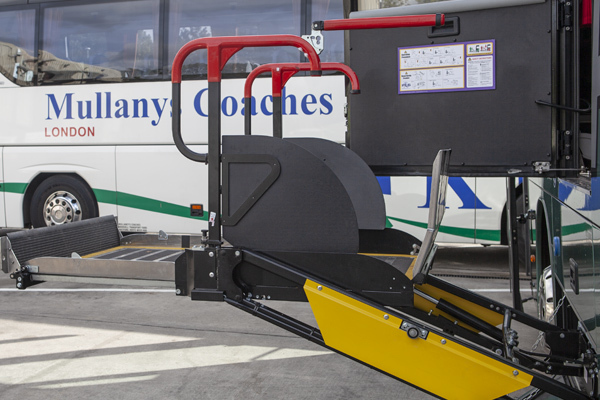 The majority of our vehicles are tracked to enable us to pinpoint them at a moments notice. 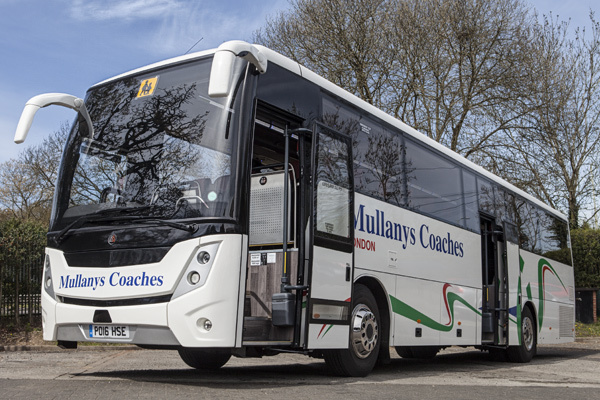 With 50 years experience in this sector delivering bespoke services, our experienced drivers know how to approach and manage large numbers of scholars. 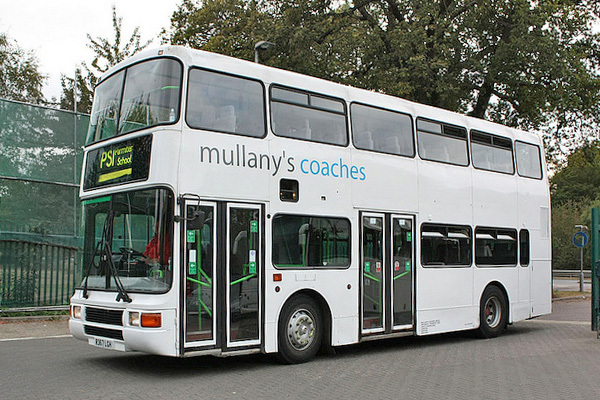 Mullanys Coaches runs friendly and reliable services at a reasonable cost, with our 'flyer' service designed to get you from A to B more efficiently. 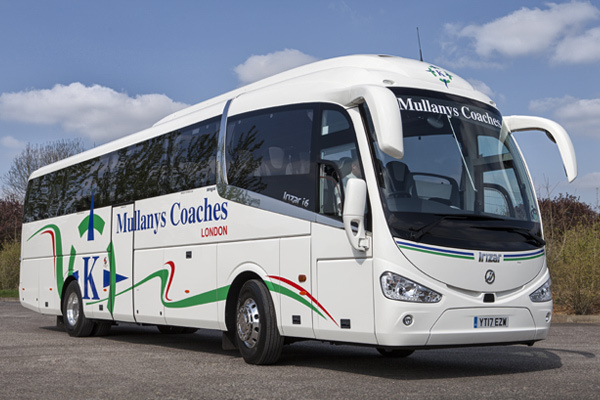 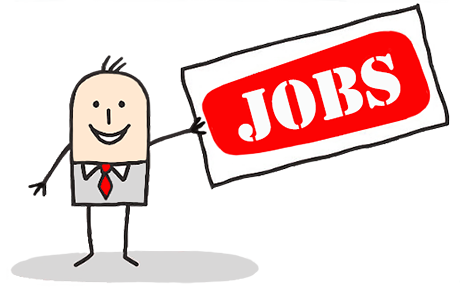 At Mullanys Coaches we are looking for part time drivers to join our busy team. 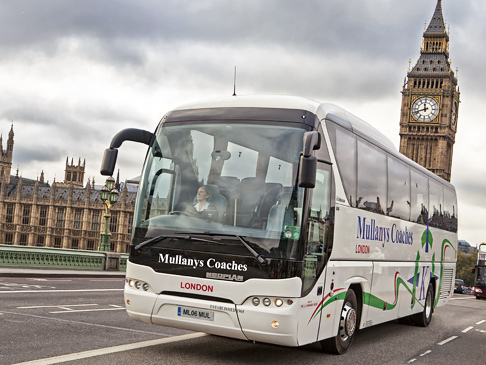 At Mullanys we have a day trip and tour programme. 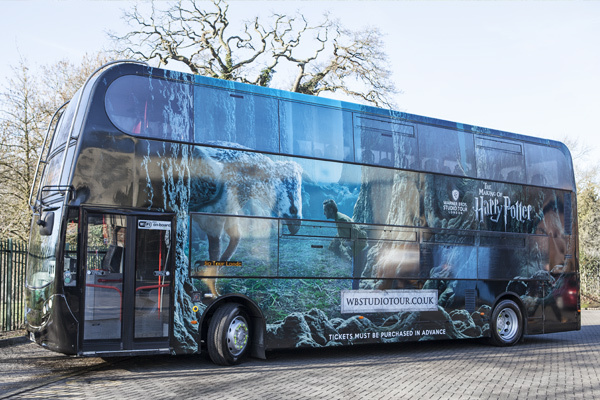 CLICK HERE to view and book forthcoming trips.